Small, Teal sized dabbling duck. Male has unmistakable broad, white stripe above eye to hindneck, black mottled breast contrasting with grey sides and white belly. In flight, striking blue-grey forewing contrasts with dark head, breast and upperparts. 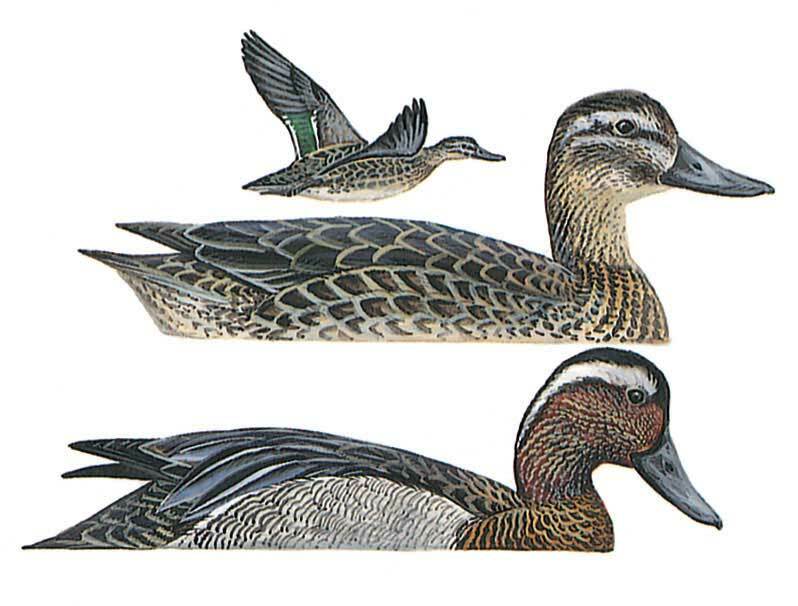 Female similr to female Teal, but longer bill and more contrasting dark and light head-stripes widening in front into pale patch at bill base, with whiter throat. Male in eclipse like female, but wing pattern as in adult male. Juvenile similar to female.